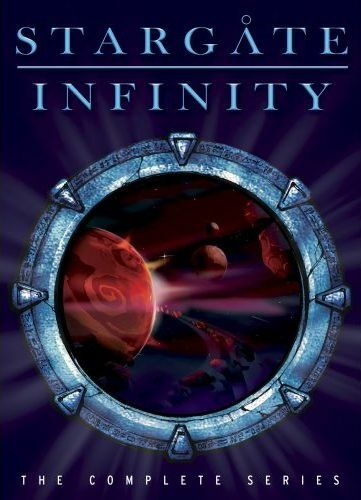 Stargate Infinity is a children's cartoon based off of the extremely popular live-action Stargate SG-1 series, and while the SG-1 series lasted 10 seasons, the animated show was fated to last only a single season. And after watching it, I can understand why. It's not bad, it's just bland. It feels very much like an 80's cartoon, with stereotypical characters that where exaggerated uniforms and spend most of each episode fighting the same bad guys while learning some valuable (yet very basic) lesson. That might have been fine in the 1980s, but nowadays we have cartoons like Avatar: The Last Airbender and Oban Star-Racers. Stargate Infinity just can't hold a candle to those fantastic shows. And being a fan of the live-action series, I was definitely disappointed by this. Stargate Infinity takes place many years after the setting of the live-action show, and introduces us to all new characters, both good and bad. The live-action series' longest lasting villains, the Goa'uld, have been defeated (fans of the live-action series will already be aware of this fact, but since this series actually came out long before their defeat I thought it might be good to mention it), and there is a new bad guy in town: the Tlak'kahn. These are a reptilian-like race, who kind of remind of Slithe from Thundercats. Major Gus Bonner is the team leader of the good guys, yet in the first episode we find him standing trial for disobeying orders and leading men into an ambush. Of course, all Gus can say is that he doesn't remember that. I'm going to go out on a limb here and say that it would not be a spoiler to reveal that Gus was framed. At any rate, events transpire which cause Gus and a team of new recruits to head through the Stargate, which then brands them all as traitors. Now they must not only uncover the plot behind the deception that got them all into this mess, but they must also find hard proof in order to clear their names. The "how" part of the framing is revealed to us early on, but all other major story arcs are never completed due to the series being canceled. For instance, early in the series they encounter an alien whom the team suspects is one of the legendary race of ancients who built the stargates. So is she or isn't she? Guess we'll never know. But then, the show never made me really care, so not finding out doesn't really bother me. Some kids may be entertained, but I think most have probably already seen better cartoons and would find this one kind of dull. And adults definitely will. The DVD box set includes all 26 episodes from the first and only season.